At MPE, we never stop innovating our designs. Chain-Vey engineers have developed a U-Track turnaround and and external tensioner ideal that save time and improve system operation. Convey assured knowing that we've thought ahead of your product to provide a system ideal for you. Glad I went with Chain-Vey whose options are always top-notch." 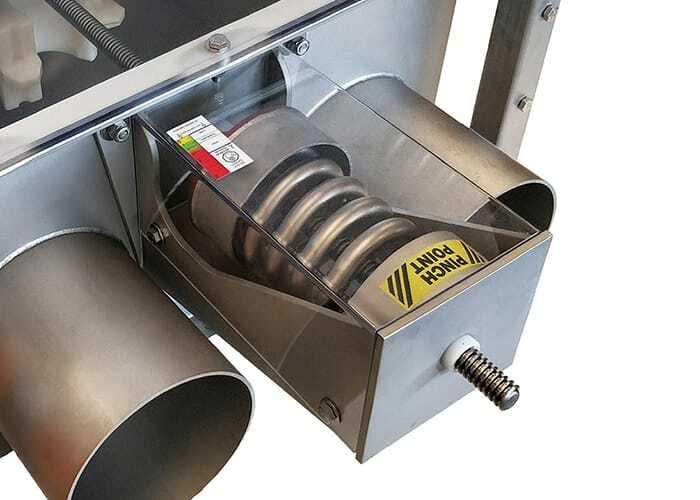 The U-Track is designed to carry through all residual particulate inside the Chain-Vey, eliminating the need for a collection tray at the bottom of the turnaround. Over the course of operating a system, inevitably residual particulate in traditional turnaround can build up requiring manual removal. With the internal UHMW tubular U-shaped track design this particulate is carried through to the next discharge point. The external tensioner is just another innovation that puts the ease of owning a Chain-Vey into a class of its own. The external placement of the tensioning nuts from the internal chain and sprocket is safer for operators. 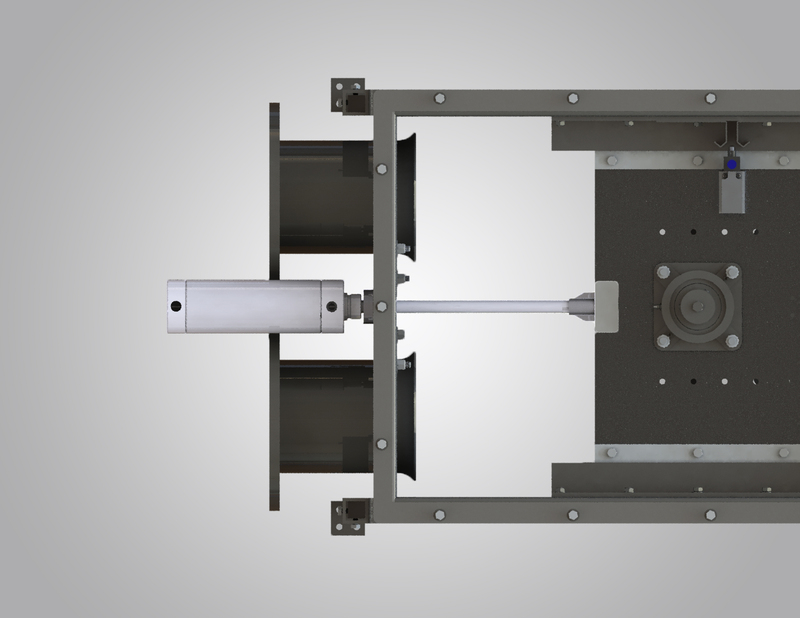 Also, the external tensioner means the tension can be adjusted during operation without having to stop your system. The Pneumatic Tensioner for Chain-Vey® systems turn what used to be a maintenance procedure into an automated adjustment. 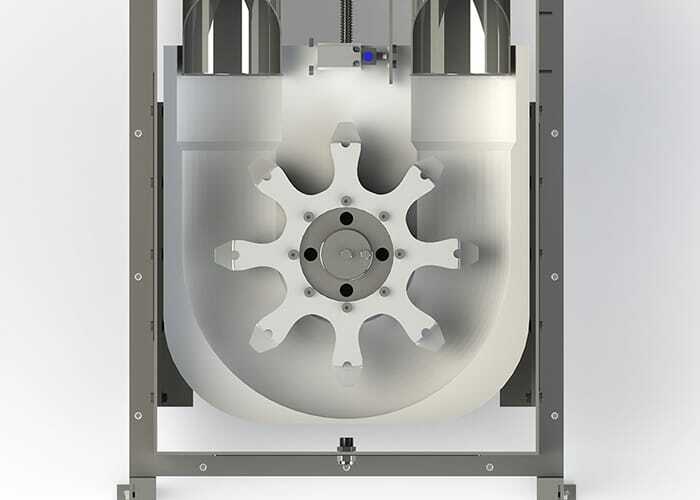 The Pneumatic Tensioner excels though when the spring cannot such as applications where varying product types and densities are conveyed through the same system. It keeps tension the same regardless of temperature and system load, can be quickly set and checked, and will maintain consistent tension over a long period of time.